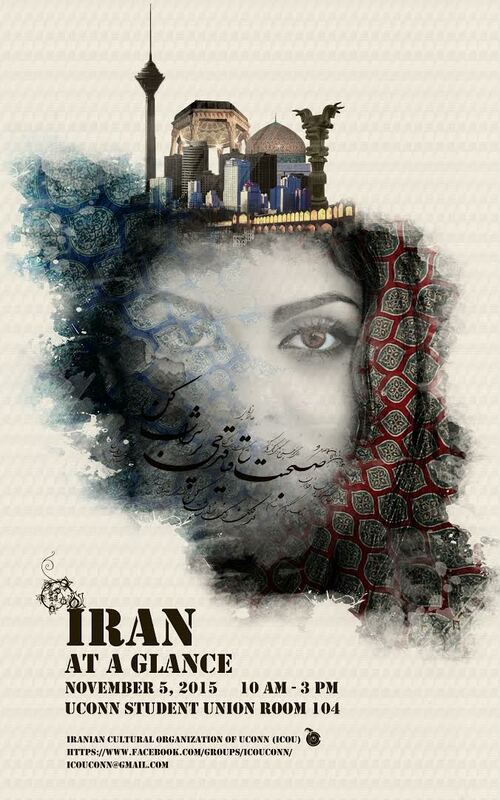 ranian Cultural Organization of UConn (ICOU) is proud to present \"Iran at a Glance\", an exhibition of Iranian culture, art, handcrafts, architecture, and everyday life on Thursday, November 5, 10:00 AM - 3:00 PM at Student Union, Room 104. We hope we can present a more realistic view of our beloved country, Iran, to the UConn community. Iranian style pastry and tea will be served.